We carry a variety of metal frames for softside mattresses. A quality frame is one of the most important accessories for a softside waterbed. You must have a solid frame that will support the weight of the bed. 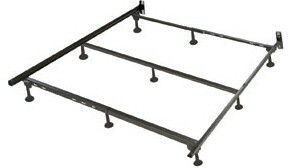 We are currently stock 9-leg and 7-leg metal frames that will give you the total support that your bed needs. All frames below have a lifetime warranty. NEW! Try our cost effective Bed Legs instead of heavy metal frames! 1.5” steel construction, 9 leg center support frame with locking keyhole design provides the perfect solution for all sleep systems, including Air, Memory-Cell, Mid & Deep Fill Softside Waterbeds, Latex and Innersprings. This frame features bolt on headboard. 1.5” steel construction, 7 leg center support frame with locking keyhole design provides the perfect solution for all sleep systems, including Air, Memory-Cell, Mid & Deep Fill Softside Waterbeds, Latex and Innersprings. Bed Legs Without Using a Frame! 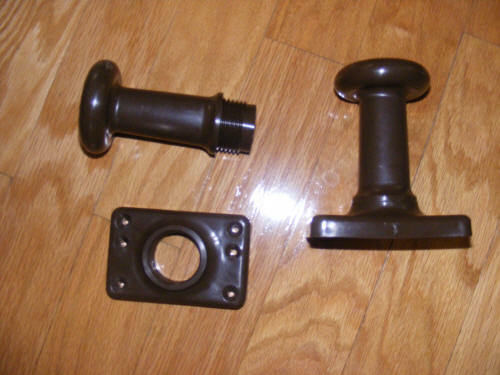 These quality bed legs can be used on wooden bed foundation (box spring) for waterbed, airbeds, memory foam beds or innerspring beds. Made of a high grade plastic they are light weight and very strong. A perfect substitute for the heavy steel bed frames.